Is ScoMo Wedged on VET Policy by Shorten Curlies? The VET sector is about to face its first root and branch review since the Kangan review in 1974. With an election looming, the industry should embrace this chance to advocate for its value and vision. The Kangan Review of technical and further education in 1974 is often viewed with nostalgia. Crucial to the creation of the TAFE system and fundamentally supportive of vocational education, it remains an example of a great leap forward in attitudes towards VET many in the sector wish for again today. The question is, are we about to get the new Kangan of our generation? Prime Minister Scott Morrison announced in November a wholesale review of the VET sector. Promising ‘wide consultation’ and a report before the next Budget scheduled for 2 April 2019, it has the potential to result in change in 2019 and beyond if the Coalition is re-elected. If not, Labor has promised its own review. Having moved first, Labor argues VET has been overlooked while K-12 schools and higher education institutions received their own Gonski and Bradley reviews. A full review will be followed by an ‘evidence-based’ response, according to statements from Labor. Many educators will be immediately sceptical of the purpose and timing of these reviews, and will also be concerned about the impact they might have on their businesses. After all, in VETtrak’s recent independent survey of Australia’s RTO market – The Voice of VET RTO Industry Australia 2018 Report – 36% of RTOs named compliance as their biggest challenge, easily dwarfing their other problems. However, bipartisan agreement on the fact VET needs real attention should be looked at as a moment that could move the sector forward. With every current piece of media coverage including the obligatory mention of the past VET-FEE-HELP episode, collectively advocating for the value of VET could give the sector a chance to press the reset button and focus on the real issue – the future. So what can we expect so far from any review of VET? The Morrison Government announced its VET review in a speech to the Australian Chamber of Commerce and Industry, where the Prime Minister said: “We believe in this form of education”. Pitched primarily at the interests of his audience and business, Morrison said the review would focus on “ensuring Australian businesses have the skills they need to support their business growth”, and that Australia is “training the right people for the right jobs in the years ahead”. New Zealand’s former Minister for Tertiary Education, Skills and Employment, Steven Joyce, has been recruited to head the review in the hope he will bring a ‘fresh perspective’. Joyce has previously overseen a market-based approach to education funding in New Zealand. The results of the review are due to be delivered “very promptly and quickly” by March 2019 ahead of the next Federal Budget on 2 April 2019. The industry can expect any Budget announcements and funding changes in the VET sector to be informed by the review. The review and Budget are expected to be followed by a Federal election in May. Should the current Government be voted out of office, Labor will have the option of either picking up the review’s findings, or the much more likely option, conducting its own promised review. Morrison added to the review announcement by saying every cent of the $1.5 billion Skilling Australians Fund would go to vocational education, and that eligibility for the Support for Adult Australian Apprenticeships Initiative will now include apprentices between age 21 and 24. While Morrison has promised the review will involve ‘consulting widely’ with stakeholders, there is no doubt the business sector will play an influential role in the review process after years of advocacy. The Australian Chamber of Commerce and Industry’s SWOT Analysis on VET released in 2017, for example, declared VET was at ‘a tipping point’, with apprentice numbers having halved over five years, and Federal Government funding as a whole having declined by about 25% over the same period. There is less hard detail on Labor’s planned VET review. Having announced its intent ahead of the Coalition in its traditional area of education strength, Labor’s vocational education spokeswoman Sharon Bird has promised “a comprehensive, evidence-based approach to policy-making in the sector to ensure it is fit for the critical task of preparing Australians for the jobs of the future”. The media previously reported Labor will scrap up-front fees for 100,000 TAFE students and force companies to make sure one in every 10 workers is an apprentice on any Commonwealth project. This would cost $470 million over four years and $708 million over a decade. Opposition Leader Bill Shorten has previously said on the campaign trail that he would make sure two out of every three dollars in VET spending from Canberra would go to public TAFE rather than private colleges, and that he would be increasing money for public TAFE. Unfortunately, Bill Shorten has also re-introduced concerning language around VET, declaring TAFE the “the education institute of the second chance”, reinforcing ‘second choice’ stereotypes. Shorten has been quoted as saying: “It can turn people around and it can retrain people”. While these comments pre-empt Labor’s fully-fledged review process and the evidence-based policy that it has promised to deliver, the role of public funding in the future of VET in Australia is likely to be viewed favorably by Labor, as are the fortunes of the TAFE system. This follows a similar emphasis in the May 2018 state budget from Victorian Premier Daniel Andrews (recently re-elected in a landslide election), who decided to make 50 TAFE courses free from 2019 to alleviate skills shortages. Depending on how you see VET’s future, the Kangan review in 1974 may either be a visionary piece of work, or a quaint legacy of another time and economic reality, where publicly-funded education was in the ascendancy and far less of the workforce was actively participating in vocational training. However, within its 44-year-old pages are some understandings that will continue to resonate with the training organisations. Just one example is the review’s recognition of the value of VET beyond a ‘second choice’ option, something the sector still struggles to convince society at large of today. “Technical and further education has too often been thought of as something different from the tidy mainstream of education – primary, secondary and tertiary,” one paragraph from the review reads. The Voice of VET RTO Industry Australia 2018 Report’s findings recently added to the urgency for this change in perspective, with 39% of RTOs naming the reputation of VET as being among the main pressure points on RTOs over the next 12 months, just behind attracting new enrolments. The fast pace of change in today’s workforce was also anticipated by Kangan, with a call for VET education to be ‘recurrent’ and ongoing rather than delivered in a single dose. 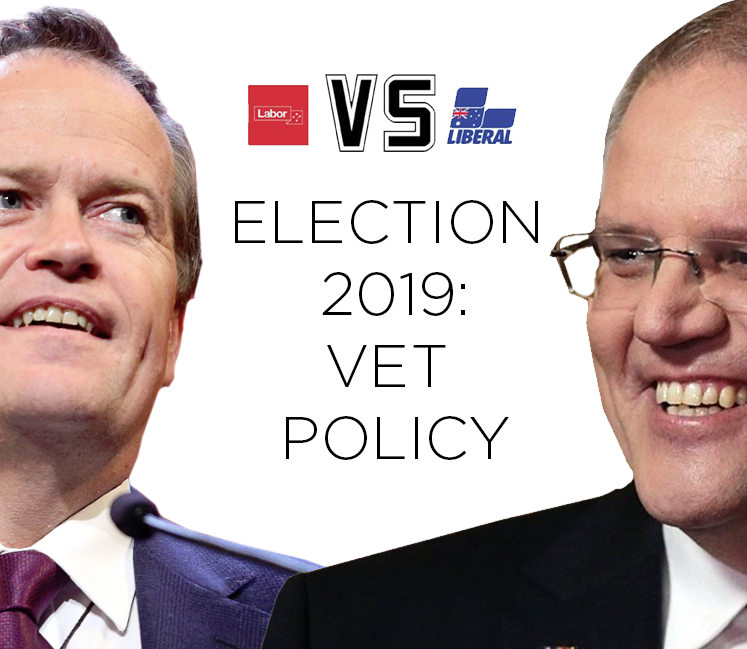 The Morrison Government’s review (or Labor’s, should it be elected next year) could play a role in elevating VET beyond the fallback education pathway it is seen as by many today, with possible concrete outcomes involving increased funding and purpose-driven VET policy. That means doing what we can as a sector right now to advocate for VET’s value all the way into the future.